Aqua Pure For You is a leading brand in water purification system. We also provide RO Industrial Plants to our customers. Best suited for small and large scale industries, our manufactured range of Industrial RO Plants is highly acknowledged among clients. 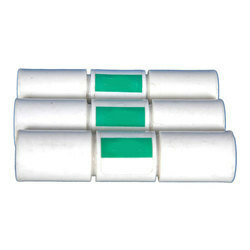 • Programmable filter life from 400 to 950 Hrs. With 50 Hrs. Step Increment. We deal in Dow Membrane. SmartAquaMeter is an IOT (Internet Of Things) water meter that connects to the internet using wireless technology and thus provides daily meter reading on user's mobile phone. It also handles billing by auto generating bills every month.